In a world that revolves around technology and the internet, with businesses moving online and accepting credit cards as payment both in store and online; it is crucial, now more than ever before that credit card information is protected. Most people work hard to protect their personal information from falling into the wrong hands, but what happens when they input their information into a website without a second thought believing the company has the necessary precautions in place to protect and safeguard their information? We’ve all done this before, making online purchases from large, reputable websites and a few lesser known sites as well. So, how do you know your information is going to be protected? Any business that accepts credit cards as a form of payment, whether in store or online via a shopping cart must be in compliance with PCI DSS Standards. As a result, being able to safely store and process credit card information is vital to ensuring a business remains profitable and in good standing with not only credit card companies but with their customers as well. Because credit cards have become the payment method of choice for many consumers, it has fallen on businesses to protect their customers information, which is why security standards were developed in the early 2000s. When the internet really started to take off, evolving into a necessary aspect of everyday life, more and more businesses started to realize the possibilities afforded them through the internet. Therefore, they began making the move to conduct their business online. As a result, it became readily apparent to credit card companies, that security breaches were increasingly common through transactions made online. The PCI DSS Security Standards came about as a result of increased theft of personal banking and credit card information obtained from unsecure payment systems. With the freedom to conduct and grow your business online, reaching a broader customer base, means that there are additional risk that both the business and consumers are exposed to. Malicious malware and hackers are continually changing and adapting—finding new ways to get around the strictest security features in place to obtain and steal vital information. Whether you are a start up business or a large, well established corporation, protecting your customers information is imperative—especially when it comes to their method of payment. The idea behind PCI DSS, was to protect businesses from costly consumer and bank data breaches as a result of processing credit cards online or in store. While the regulations may seem a bit daunting and overwhelming for business owners, knowing, understanding and being in compliance is the best way to protect your customers’ personal or financial information and your business from fines and penalties. In the early 2000s, five major credit card companies—Visa, Mastercard, Discover, Japanese Credit Bureau (JCB) and American Express all came together to establish the Payment Card Industry Data Security Standard (PCI DSS). These standards were created to protect merchants from costly data breaches and fines. These standards were intended to be comprehensive, to ensure the highest level of protection was in place. Shortly after the creation of the PCI DSS, the Payment Card Industry Security Standards Council (PCI SCC) was established as an independent, additional group that would be responsible for overseeing and adapting security standards going forward. Since its creation in 2008, the PCI SCC continues to regularly update the standards outlined in the PCI DSS to reflect the current best practices to protect both merchants and consumers. This includes the implementation of standards for wireless networks and to mandate additional security measures to reflect the latest technology trends and payment methods. In recent years, the PCI SCC has extended the amount of time merchants have to become compliant with new regulations. Merchants have now have up to one-year to become compliant. This allows merchants time to not only learn and understand the new requirements, but to be able to implement the updates and enact policies to support the new regulations in their businesses. At this point, you are probably wondering what does it mean to be PCI compliant? PCI DSS are the security standards that have been established by the credit card industry powerhouses—Visa, MasterCard, American Express, Discover and JBS. PCS DSS was intended to ensure all merchants safely and securely accept, store, process and transmit credit card information they gather with every credit card transaction. As a self-mandated system, every merchant who accepts payment via credit card, either online or at a physical location is responsible for compliance to protect against data breeches. The standards, as established dictate that each business establish data security policies for their organization and implement employee training to protect credit card data. Every credit card contains sensitive information, such as the card holders name, account number, expiration date, Chip, Magnetic Strip and CAV2/CID/CCV2/CVV2 that must be protected. Additionally, businesses should not retain any of this information, to mitigate the risk of a data breech. If it is necessary to retain any of the sensitive information from a credit card, your business may be required to produce valid reasons for keeping specific information, along with being able to demonstrate that the necessary security measures are in place to protect the stored information. How a business stores, disposes of and protects sensitive credit card information is determined by the PCI DSS. The requirements for becoming compliant and maintaining compliance are based on a few facts about your business, including size and volume of transactions you process in a given year. As part of the requirements to become compliant, each business must complete either a yearly self-assessment questionnaire (SAQ) and/or sufficiently pass a quarterly PCI security scan. The SAQ is a series of questions intended to determine a business’s compliance with PCI security levels. This information can also help to find and select a credit card processor that guarantees PCI compliant credit card processing solutions, providing you with peace of mind knowing all credit card transactions your business takes are going to be done in the safest manner possible. Are you solely responsible for protecting your customers sensitive information, or is your processors partly responsible too? This is a complex question that doesn’t have a cut and dry answer. As has been previously established, there are different aspects that go into PCI compliance, all working together to protect sensitive information. Because there are so many parts, it is important to know who is responsible for what to ensure compliance is being met. A common misconception many businesses have, is that the responsibility falls on the shoulders of the IT person. When in reality, every employee within an organization has a responsibility to protect sensitive payment information of their customers. In most companies there is an individual who is tasked with ensuring that compliance is met. Although, it is important to note that every employee can compromise the organizations compliance if they are not careful and conscious of everything they are doing. Policies and procedures are established and put in place to protect information, when employees fail to follow the procedure is when information and compliance is usually lost. The fact is, that just because a business is PCI compliant does not mean they are protected from data breaches. In fact, breaches do happen to companies of all sizes, compliant and non-compliant. The advantage of being compliant is that businesses will have response plans in place and are prepared to act when the unfortunate does happen. Additionally, because they are PCI compliant they are protected against fines and lawsuits. When an organization is not compliant with the PCI DSS standards and a security breach occurs, the merchant may be subject to substantial fines which are the most common repercussion. Depending on the severity of the breach, some fines imposed on merchants can be anywhere from $5,000 to $10,000 every month until all compliance issues are resolved and the breach has been adequately handled. Businesses who neglect to resolve their security issues, may have their privilege of accepting credit cards as payment revoked by the credit card companies and your credit card processor. It is important to remember when a business credit card system is hacked, the hacker now has access to innumerable credit cards. As a result, they can steal millions or billions of dollars from a culmination of various individuals! So, aside from fines and penalties what other consequences can businesses face when sensitive information is hacked? Here are seven consequences businesses may face as a result of either non-compliance with PCI DSS or an unknowing error on the part of the business. There are so many benefits that come from being PCI DSS compliant—providing a safe and secure way for customers to make purchases all while protecting your businesses from substantial fines and minimizing the risk of losing revenue. Along with protecting your business from fines and legal fees, being known as a company that is honest and secure can go a long way in building trust with consumers. As more and more consumers elect to make purchases online via credit cards, it is imperative that merchants know and understand the importance of PCI DSS compliance and strive to ensure their compliance. This can be achieved through regular compliance scanning, which is performed by a reliable source, such as Trust Guard. Trust Guard provides PCI compliant scans to help merchants find weakness and breaches with their website security. Upon successfully passing a scan and obtaining PCI Compliance, websites are then granted a trust seal. These seals are displayed on a secure website, serving as a visual indication to consumers that the website is safe and can be trusted to guard and protect sensitive credit card information. Having a regular and thorough complaint scan will be able to detect any security risk, data breaches and areas where you can improve your security. This provides valuable information as companies’ websites are marked with the Trust Guard security seal, tend to attract more customers than those without. A shocking 80% of all websites are susceptible to some sort of attack or hack due to weak or missing security measures. Because this number is so high, Trust Guard provides a regular compliant scan to those who elect to trust their website security to Trust Guard. With comprehensive compliance scanning, you will be able to detect any security threats before they become big problems. 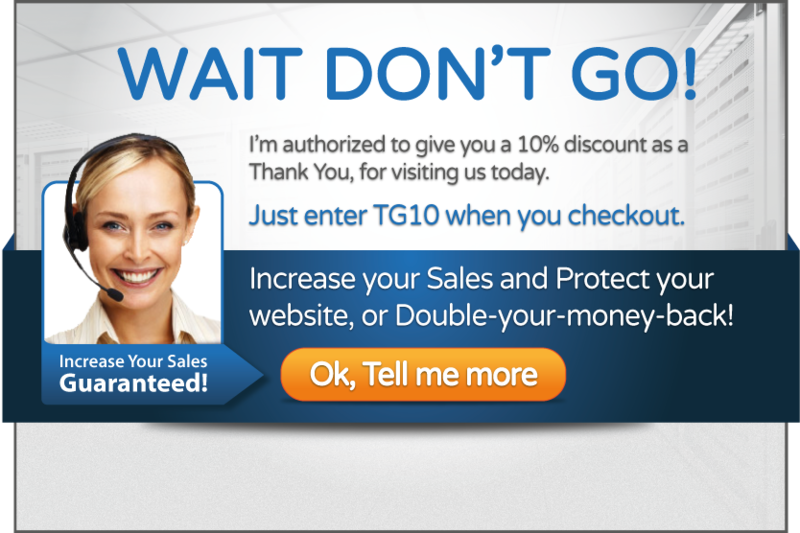 Prove to your customers you deserve their business by earning a Trust Guard seal of security!